Written by Ben Sisario — There is no one in music quite like Adele. While stars are now expected to live their lives in full self-promotion mode online, Adele barely touches her social media accounts. A 27-year-old mother who speaks with a working-class North London accent, she is revered by fans as much for her seeming approachability as for her vocal prowess. In interviews she speaks about being a full-figured woman in the image-obsessed entertainment industry, and about rejecting product endorsements to keep the focus on her music. She also sells more albums than anyone in the struggling music business thought was still possible. When official sales numbers are announced by Nielsen on Monday, they are expected to show that Adele’s new album, “25,” which went on sale Nov. 20, will have sold at least 3.2 million copies in the United States in its first week. That smashes an opening-week sales record that has stood since ’N Sync sold 2.4 million copies of “No Strings Attached” in 2000. But annual CD sales then were more than five times what they are now, and the music industry relied on a vast network of brick-and-mortar retailers that has long since eroded. “This is beyond all expectations,” said Ish Cuebas, vice president for music merchandising at Trans World Entertainment, whose more than 300 stores include the F.Y.E. chain. Since 1991, when SoundScan — a tracking service now owned by Nielsen — began collecting reliable sales data from retailers, only 20 albums have sold more than a million copies in a week. Three Taylor Swift albums accomplished that feat, though none had sales that approached the stratospheric figures for “25.” Target and Barnes & Noble both said that first-day sales for “25” at their stores exceeded those of any previous album. Adele’s “25” also had the biggest opening week in Britain, where just over 800,000 albums were sold, according to the Official Charts Company there. That beat a record set in 1997 by Oasis, which sold 696,000 copies of “Be Here Now” in an abbreviated three-day sales week. With positive reviews, a hit song — “Hello,” already the subject of a “Saturday Night Live” sketch — and saturation coverage of Adele from an adoring news media, the album should remain a hit through the holiday season. Analysts expect it to sell five million copies or more in the United States by the end of the year, a milestone that has not been reached since 2011. That hot-selling album was Adele’s previous release, “21,” another trend-defying phenomenon that went on to sell about 30 million copies around the world. On Thursday, Adele announced that she would go on tour in the spring for the first time in five years, all but guaranteeing heavy promotion for the album well into 2016, and perhaps beyond. Adele’s “25” — filled with confessional torch songs and heart-tugging ballads, and driven by Adele’s powerful and soulful voice — is being celebrated throughout the music world as an artistic and commercial success that has become all too rare. And huge numbers of listeners who otherwise have spent little or no money on music are plunking down $10 or more for the album. The success of Adele’s “25” is all the more remarkable given how the landscape of music retail has changed since 2000, when some 700 million CDs were sold annually through a network of chains like Tower, Sam Goody and HMV, as well as in big-box stores like Best Buy and Circuit City that devoted considerable floor space to music. Today, with digital outlets like iTunes, Amazon and Spotify having upended the way that music is distributed and consumed, thousands of record stores across the country have closed and the music acreage at the big boxes has been sharply reduced. Last year just 141 million CDs were sold in the United States, according to Nielsen. An additional 106 million albums were sold as downloads. But Adele appears to have activated millions of customers for whom making a purchase is viewed as a sign of devotion and support for the artist they love. The album has also heightened the industry’s debate over streaming, since, like Ms. Swift a year ago, Adele decided to withhold her full album from streaming outlets like Spotify, Apple Music and Deezer, although “Hello” was widely available for streaming. The sales of “25” are being hailed as a vindication of Adele’s strategy to block the full album from streaming, although analysts have also been quick to portray her as an outlier whose success — or stance on streaming — is not likely to be repeated by very many acts. The No. 1 title on Billboard’s most recent album chart is Justin Bieber’s “Purpose,” which opened with a record 100 million streams, and other young stars like Ed Sheeran have expressed gratitude to Spotify for helping to propel their careers. Retailers report that the album has been bought by all sorts of consumers — male, female, old and young. But Adele’s success may also be because of her following among a demographic group that the youth-obsessed pop music world does not often focus on. According to Nielsen, which has studied the demographics of the fans of various pop acts, the typical Adele fan is a college-educated woman aged 25 to 44, who watches “Family Guy” on TV and likes to shop at Target, Victoria’s Secret and Bath & Body Works. 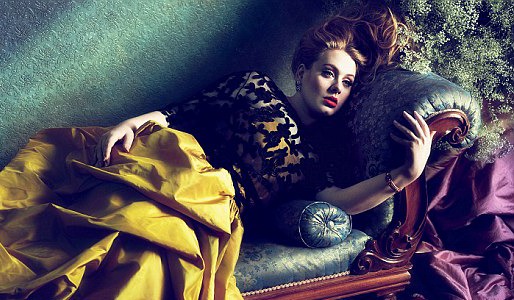 Opening-week sales for Adele’s “25” are expected to be split almost evenly between digital downloads and CDs. ITunes represents the majority of digital copies and Target is the biggest driver of physical sales. The retailer had a special version of the album with three bonus songs, ran TV commercials promoting the release and placed cardboard displays filled with the CD by checkout lines.